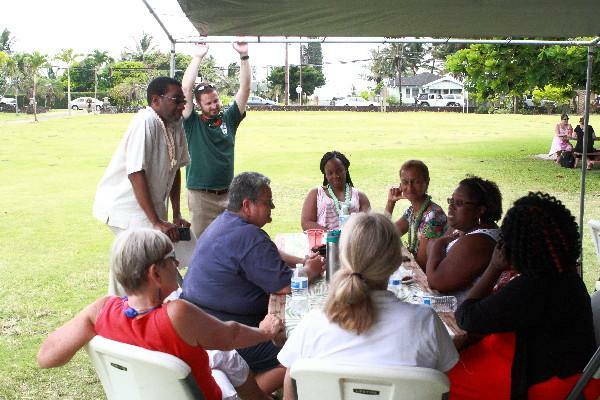 On Sunday, July 1 st the All Saints' Ohana pulled out all the stops to welcome Rev. Ryan back to the pulpit and our community. After his amazing experience on the Camino he returns refreshed, energized, and bearded. 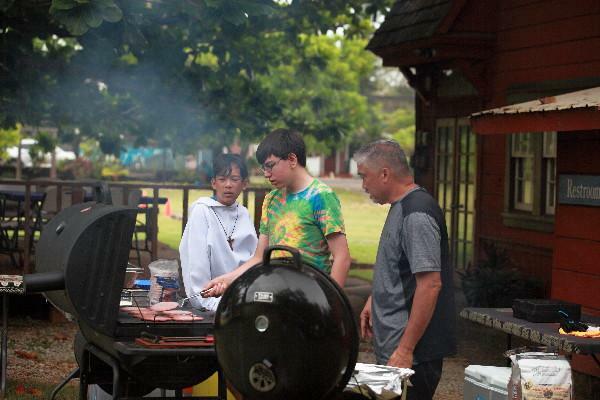 We also took the opportunity to celebrate our nation's Independence Day with a good old fashioned BBQ. Ono grindz ! To see a slide show of the celebration, click on the link below. Can you believe that Fr. Ryan and Dr. Erin have already been with us for 5 years? Time certainly flies when you are having fun! Our church and the wider community have truly been blessed - and I hope we are blessed for many more years to come! 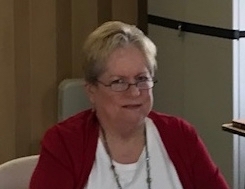 It has been a long time (more than 30 years) since we have been able to celebrate this particular milestone in our parish life – 5 years with the same minister. You have to go back to Fr. Bob Walden’s time. He was the minister for about 20 years and would have celebrated his 5 th anniversary in the early 1980’s. 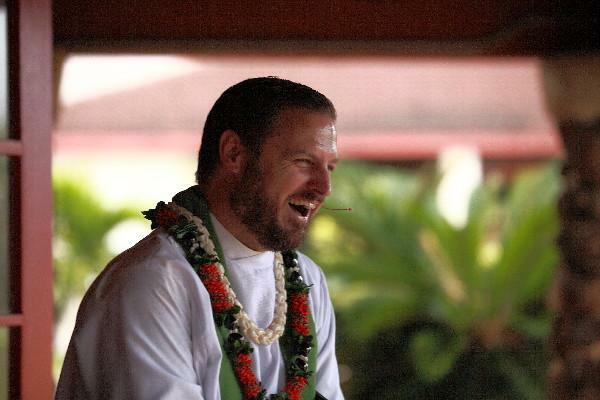 So, please join us at the Aloha Hour following the 9:30 service on Sunday, July 15 th as we celebrate this truly special occasion - the 5 th anniversary of Rev. 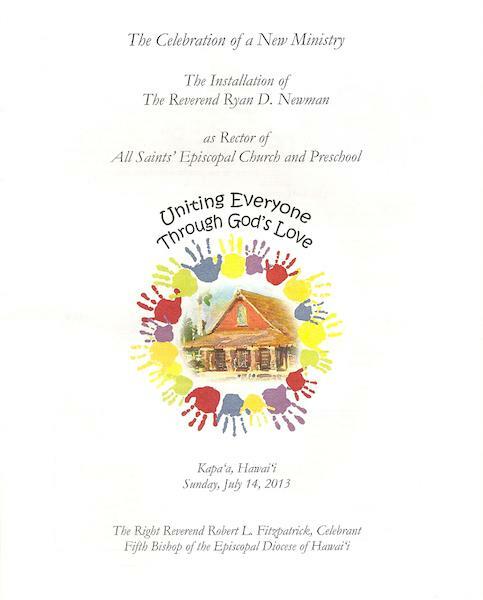 Ryan’s installation as Rector of All Saints’ Church. This will be a typical All Saints’ pot luck so please bring a dish to share. 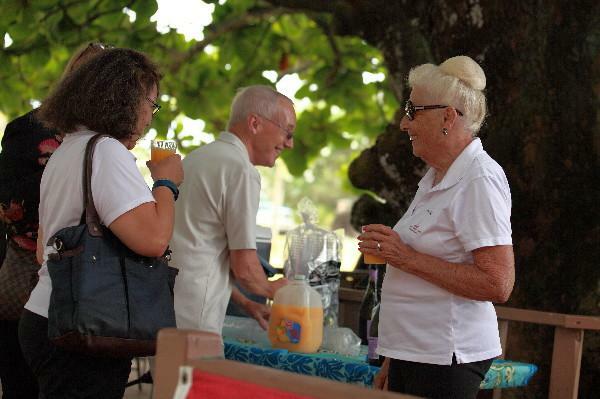 The Hospitality Ministry will also be providing some of Rev. Ryan’s favorite dishes. What are his favorite dishes? Sorry - you have to be there to find out! Stay tuned for details of the next extra special event on July 29 th ! protect the wonders of creation. and to know them as family. As you may have noticed the organ case elements at the top and bottom of the towers have the “distressed-look” finish so popular today. Never fear, after Morris and CeCe return from vacation those elements with be first polychromed in the official Pantone Episcopal red and blue colors then the gilding will be added. 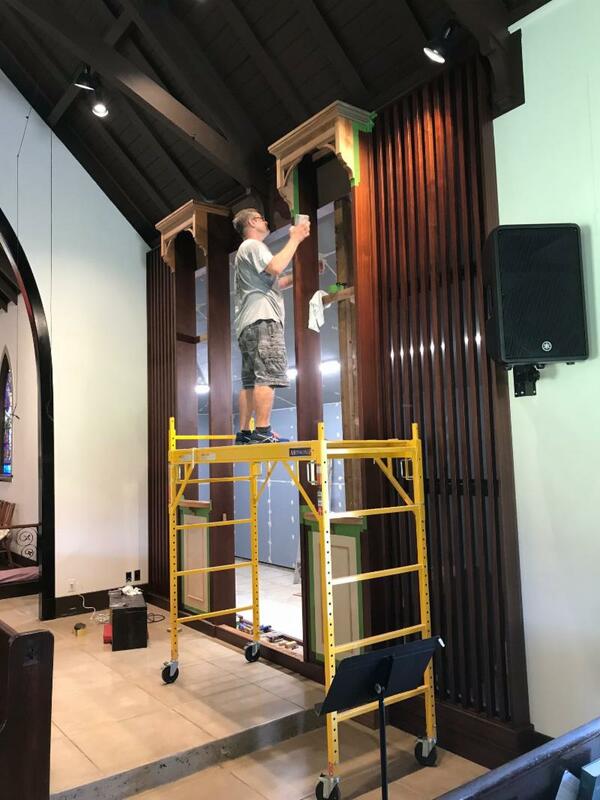 Stay tuned as we continue to enhance the beauty of our soon-to-be refurbished pipe organ. I want to take this opportunity to thank Chris Neumann, CeCe Caldwell, and Bill Caldwell for the amazing job they have done with your Epistle during my sabbatical. They have taken it to new heights and new directions. Three is far better than one! 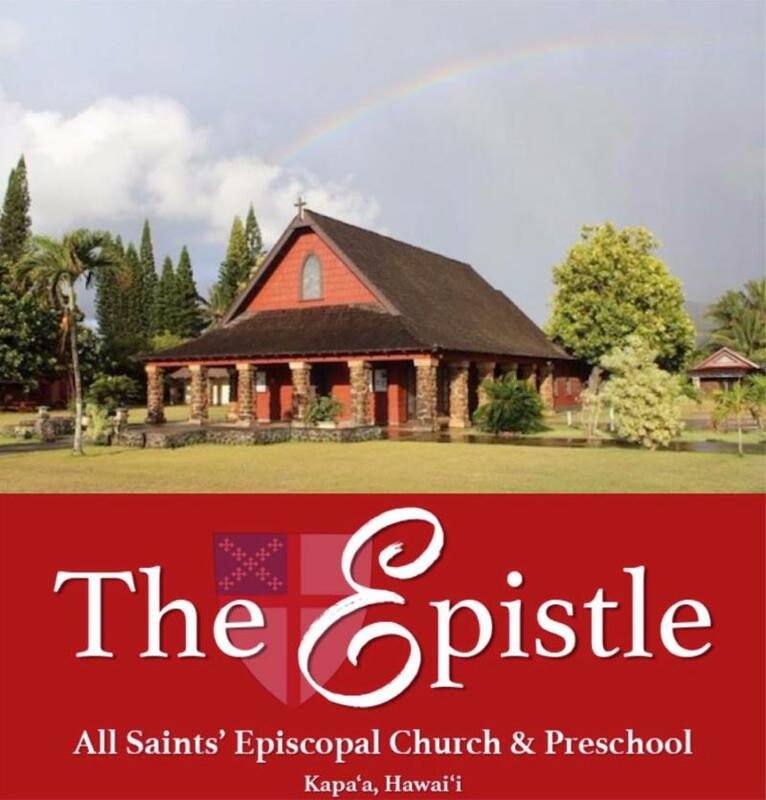 I am pleased to announce that Chris, CeCe, and Bill will continue to serve as editors and publishers of your Epistle . Please join me in supporting them as they continue this communication ministry. As always, I encourage you to submit your ideas, announcements, photos, videos, or stories for publication in your Epistle . 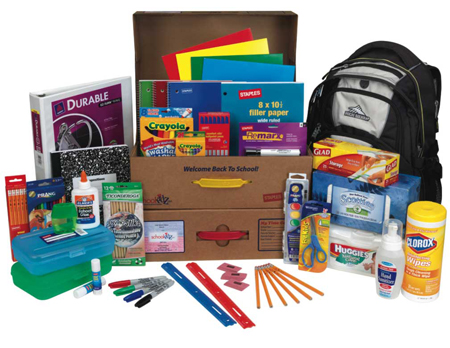 If you would like to have your item included, please email it to epistle@allsaintskauai.org or call Bill at (336) 414-7921. 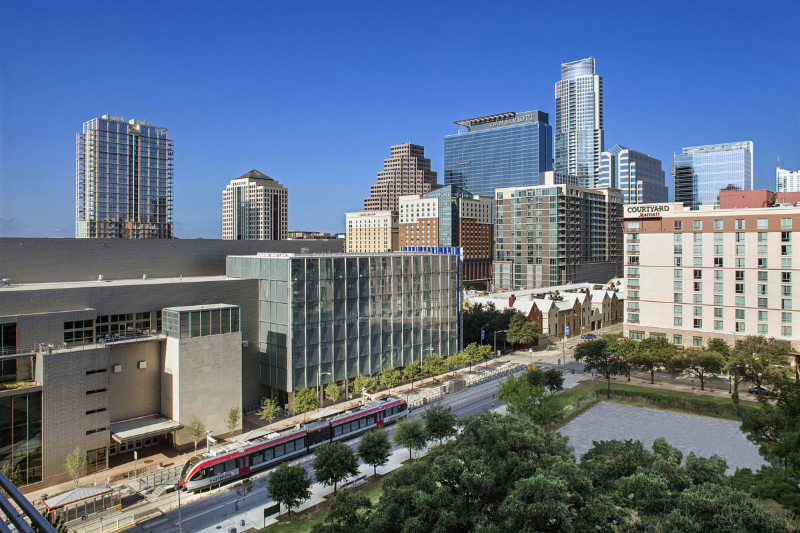 Episcopalians are starting to arrive here ahead of the official July 5 th start of the 79 th General Convention at the Austin Convention Center . As usual, the agenda facing the House of Bishops and the House of Deputies is so packed that legislative committee meetings are set for the evening of July 3 rd and the morning of July 4 th . The complete draft convention schedule is here . For more information on these issues, please see the Episcopal News Service story “ Summary guide to the major issues facing General Convention "
﻿Please place your donations in the red wagon by the door to the sanctuary on Sundays. 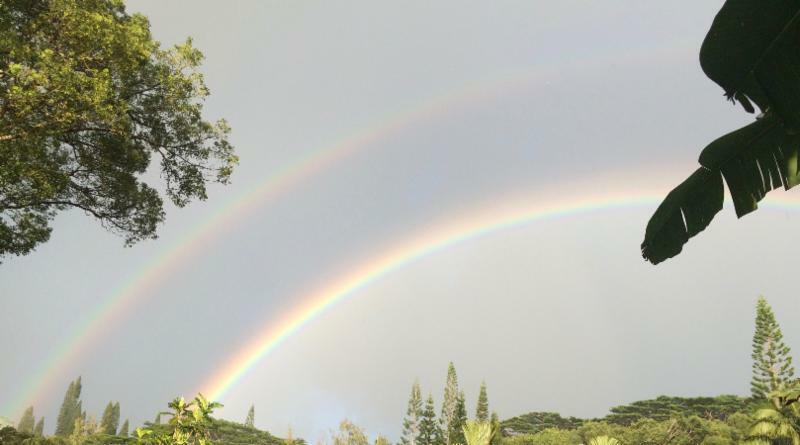 Hale Ho'omalu also needs and appreciates monetary donations as well as gift-in-kind items. 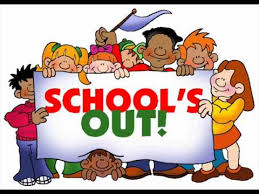 In the immortal words of Alice Cooper, " School's Out For Summer! " 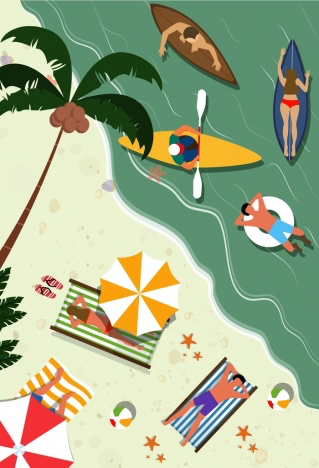 Sunday School summer break begins this Sunday, July 1 st . Sunday School will resume this fall. The All Saints' choir will be taking their summer recess starting July 2 nd and finishing August 2 nd . Practice will resume in the music room on Thursday, August 2 nd at 6:00PM and choir will be seated at the 9:30AM service on August 5 th . If you are interested in singing with the choir (visitors are welcome, too!) or you have any questions, please contact music director, Hank Curtis . 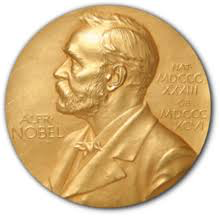 Swedish bishop Nathan Söderblom was the first member of the clergy to receive the Nobel Peace Prize. Born Lars Olof Jonathan Söderblom, on January 15, he graduated from Uppsala University in 1883 and was ordained a priest in the Church of Sweden (Lutheran) in 1893. He earned his doctorate in theology at the Sorbonne and taught theology at the University of Uppsala until his appointment as Archbishop of Uppsala in 1914. 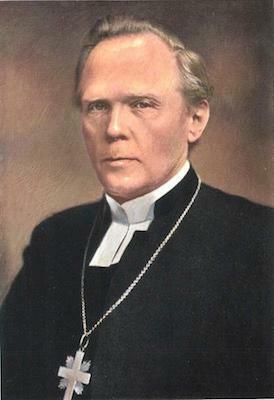 During the First World War, Archbishop Söderblom called on Christian leaders to work for peace and justice. He believed that all Christian church communities were called to fight unhealthy nationalism, racism, militarism and the oppression of minorities. At the same time, he proposed that Jesus’ message of love disseminated from pulpits, in newspapers, and in schools to create a powerful body of Christian opinion across national borders in favor of peace. Archbishop Söderblom took great interest in the early liturgical renewal movement among Roman Catholics, Anglicans and Lutherans. 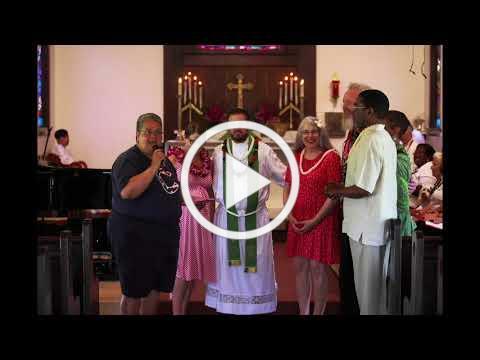 He saw a profound connection between liturgical worship, personal prayer, and social justice. 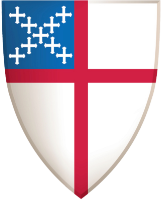 In 1925 he invited Anglican, Reformed, Lutheran, and Orthodox leaders to Stockholm and together they formed the Universal Christian Council on Life and Work. His ecumenical work led eventually to the formation of the World Council of Churches in 1948. Söderblom’s advocacy for Church unity as a means toward accomplishing world peace earned him the Nobel Peace Prize in 1930. After his death in Uppsala, Sweden, in 1931 his body was interred in Uppsala Cathedral. He is commemorated in the liturgical calendar of the Episcopal Church on July 12.
we serve you for the glory of your Name. Who Says There Are No Miracles Left? After nine days trapped in a cave, 12 young soccer players and their coach have been found alive. 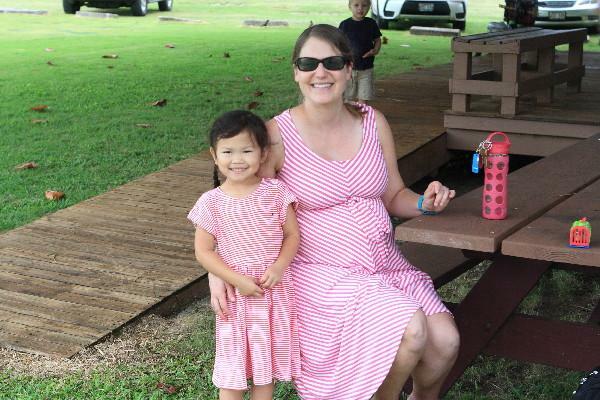 For more information go to Laundry Love Kaua'i or contact Geoff Shields at gshields2334@gmail.com or Bill Caldwell at billcaldwell4@me.com . Whenever you have a need for support, please call (650) 691-8104 and leave a voice mail. The system will immediately forward the information to the Pastoral Care Committee who will respond to each request. 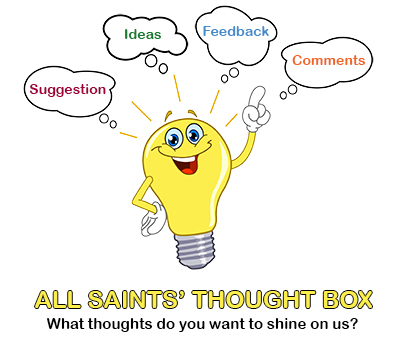 If you prefer, you may send an electronic pastoral care request via email to pastoralcare@allsaintskauai.org . All Saints’ Eucharistic Visitors are available each Sunday (pending availability) to bring Communion to those who are sick or shut-in. 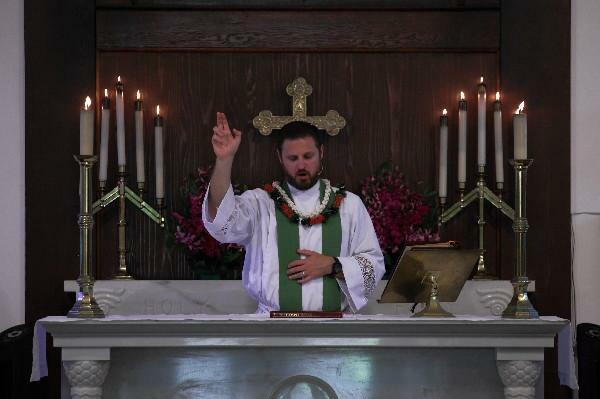 Requests for a Eucharistic visitation can be made by calling the Church Office at (808) 822-4267 or emailing homecommunion@allsaintskauai.org .